EDC, Several years in review. I could post a lot of older comparisons, but for simplicinty, I’ll do Mid november, closest date possible, last few years.. Closest I can get for 2012 is in September, the 27th. Didn’t get into pocket dumps till after that, the next summer.. Ironically I think my most progression was in late 2012 and mid to late 2013… so doing a comparison for this time of year misses some progression. 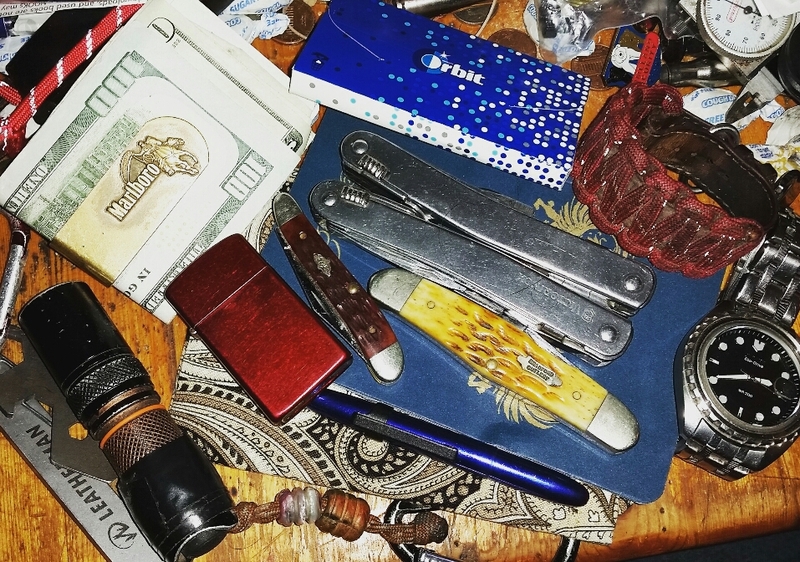 Misc pocket dump pic I’ve taken.